New Delhi: A luxury residential building in Houston is making quite a buzz for one unique amenity- its swimming pool. What's special, you ask? The 'Sky Pool' on the 40th floor of the building overlooks the city and is extended 10 feet beyond the edge of the building. That's like swimming in the sky with a bird's eye view of the city. 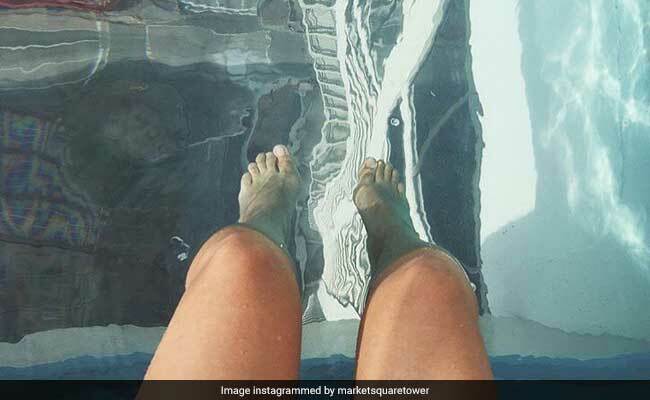 And if the description of the pool didn't make you nauseous enough, a video of a swimmer stepping over the edge of the building will definitely make your stomach churn. But just to make you feel better, the pool, a part of which is suspended in the air, is built with a shatterproof 8-inch thick plexiglass bottom, according to Houston Chronicle. If heights are a problem for you, then you should steer clear of this pool cos this is vertigo guaranteed. And those who are too scared to venture into the suspended pool, there is another pool on the fourth-floor terrace.